Welcome to the website of the Buckhurst Hill Residents' Society. 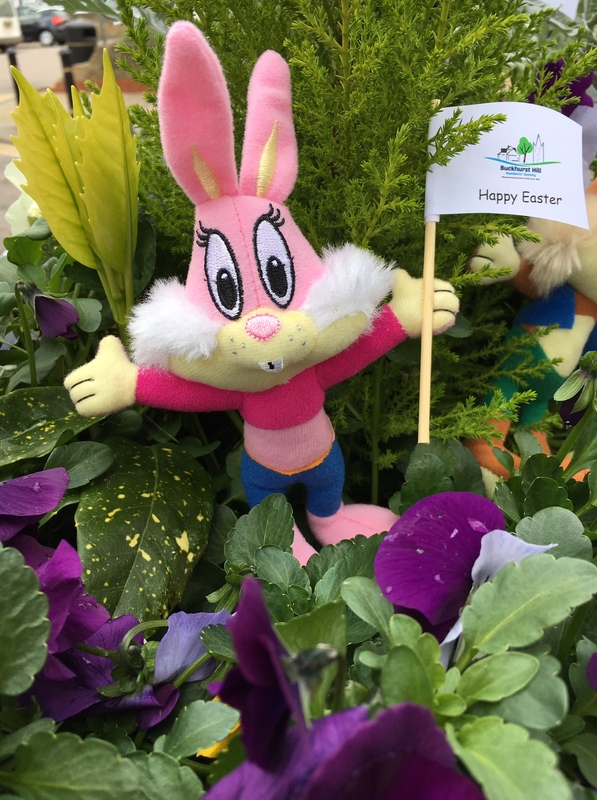 During the school Easter Holiday 9 Easter Bunnies plan to hide in 9 windows in Queen's Road. The challenge is to try to find them. All you have to do is print off the form and go hunting! When you see a Bunny in the window collect a stamp or signature from the shop. The Hunt starts Saturday 5th April and ends Good Friday 19th April. When you have all 9 take your form to FINGERTIPS at the top of the hill to collect your prize. The first 10 correct forms will get a voucher but don’t worry if you are later as there are some treats for everyone. The Entry Form with instructions can be downloaded by going to the Documents Tab at the bottom of the screen. 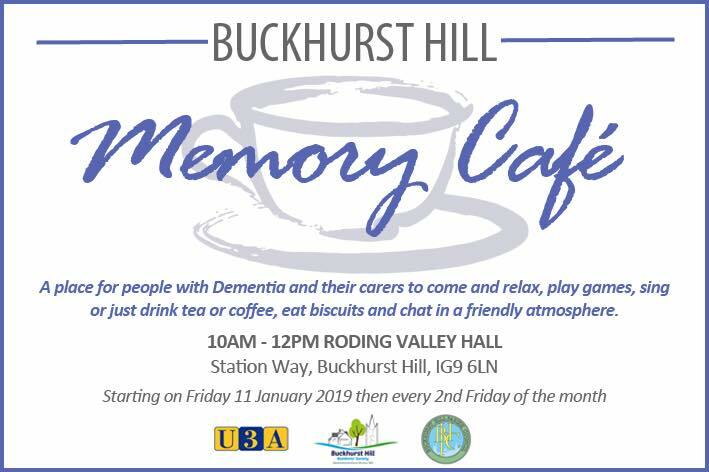 The Society has taken on an exciting aim for 2019 - A Memory Cafe for Buckhurst Hill - a place for people with Dementia and their carers. After researching and presenting this idea, the good news is that the U3A and the Parish Council are keen to make this a joint venture and it is hoped to be a real support to families. The Memory Cafe will take place at Roding Valley Hall on the second Friday of each month between 10am and 12pm, with the next on 12th April 2019. Should anyone else feels they would like some company on a Cafe day, you are also very welcome to join us. Essex CC have announced that they are reviewing Library Services in the county, and are proposing to close at least 25 smaller Libraries, including Buckhurst Hill, Chigwell and Debden. We understand there will be a Public Consultation followed by a decision in Summer 2019. This is obviously unwelcome news, and we we will be liaising with the Parish Council and others about how to prevent this. The Local Plan, a set of policies to manage development within Epping Forest District up to 2033, has been submitted for approval to the Planning Inspectorate by Epping Forest District Council. The news was announced by Planning Portfolio Holder John Philip at the meeting of the Full Council on Tuesday 25 September 2018. Submission followed the end of a legal challenge by property developer CK Properties (Theydon Bois) Ltd after its application for leave to appeal to the Court of Appeal was refused. CK Properties had already lost its case following a High Court hearing. The Local Plan must now be scrutinised and approved by an independently appointed planning inspector working on behalf of the Government. The Inspector will be looking to ensure the Plan is legally sound and meets all the requirements for national and local policies in a fair and consistent way. The Planning Inspector will scrutinise all the policies and supporting documents before hearing submissions and taking further evidence from interested people. The Planning Inspectorate will schedule the Independent Examination of Epping Forest District Council’s Plan among ongoing examinations of other councils’ local plans. Once submitted, councils may have to wait several months before an examination takes place. A copy of the Plan is available at Buckhurst Hill Library: it is a very large document, difficult to follow if reading online. The first sessions of the Public Enquiry will take place on 12th, 13th and 14th February at the Council Offices in Epping. If the Planning Inspector nonetheless approves the Plan, we.understand that the Public Enquiry will be followed by further discussion by EFDC and a final vote by Councillors sometime in 2019. Planning Applications for actual development may be submitted anytime during the life of the plan, up to fifteen years. At our meeting on Tuesday 10th July, BHRS presented a cheque for £900 to Pauline Obee MBE, Patron of the Rainbow Trust, a charity which supports families with a seriously ill child. This sum was raised by children from St John's Primary School at our Market Project in Queen's Road on 15th June, organised by Margaret Drew of BHRS, and supported by businesses on Queen's Road. The school generously donated the proceeds to the charity being supported by BHRS this year. For details see news article here.